Download Hour1 Download Hour2 Following on from last week, another show on a very important but commercially sidelined scientific backwater. Dr. Gabor Maté combines personal testimony, anecdotal evidence and a lot of scientific research to tell a story of child development very different to the one pedalled by institutions such as the Drug Industry, the criminal justice system or other profiteers of human disfunctionality. Increasing ill health, Maté suggests, is a natural response to an increasingly sick society. "Evidence Based Medicine" is a kind of mantra in medicine nowadays, notes Dr. Gabor Maté, but in fact a huge amount of evidence is simply ignored, because it doesn't fit the story which powerful forces would like us to hear. 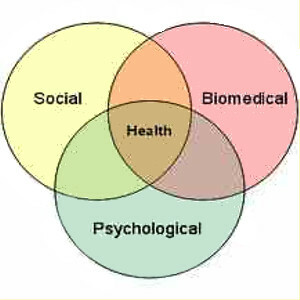 Maté explains and motivates the "Biopsychosocial Approach" to understanding health, noting its philosophical roots which go back thousands of years. Why are medical students or social workers still not taught about the research which proves how essential healthy relationships are for human health, or the manifold ways in which broader social conditions impact individual health, both physical and mental? This biopsychosocial perspective demands not only that we look at the immediate parenting environment but also that we look at the broader social picture - which by the way is why we have such a problem accepting it, because it's much easier to blame individuals for their behavior than to look at the broader social picture. It's much easier to look at genes and say that they are the problem than to look at the broader social picture; as an American writer put it: "It's all in the genes is an explanation for the way things are that does not threaten the way things are." Using ADHD as a template, Maté reinterprets a bunch of childhood "developmental disorders" using the biopsychosocial approach, which emphasizes that people cannot be understood as lone individuals, that understanding their health requires examining psychological and social factors — especially their relationships with others. As usual, Maté does not overlook systemic pressures such as the for-profit criminal justice system's drive to incarcerate ever more people, or the medical system's tendency to pathologize ever more people. He reveals the 'gold standard' of genetic determinism studies — adopted identical twin studies — to be far more problematic than generally admitted by the genetic determinists, and tells of his own circumstances as an ADHD sufferer who unwittingly passed on ADHD to his children by his workaholism. Maté echoes the importance of unconditional love from parent to child which Alfie Kohn was the first to stress on this show, but his analysis goes further, detailing a set of physiological processes which explain it. Like Kohn, he cautions against behaviorist approaches to try to control children. Methods such as 'timeouts' to punish bad behavior end up actually promoting it, he explains, since such punishment damages kids' relationships with their primary care giver, elevating levels of stress hormones such as cortisole and thus stunting kids' emotional development and diminishing their ability to self-regulate. Children's natural response to stress which are effective short term coping strategies, can become permanent traits rather than temporary states unless their stress is alleviated. Maté explains the explosion of childhood developmental disorders in North America in the last half century or so as symptoms of the increasing stresses on parents by an increasingly dysfunctional society. For more details on epigenetics, listen to episode 527.. This page was last modified on 23 October 2013, at 02:43.